When looking back on wedding photos, flawless skin is pretty high up on the list of priorities for brides. For that one day, they want to have the most beautiful skin possible. It takes time and care to have that flawless canvas for your wedding makeup artist to work on. Start early and it is within your grasp. Three months before the wedding, start getting facials once a month to deep clean your skin. If you plan to travel to your wedding destination, either get your final facial before flying out, or find a spa that uses the same protocols that your skin is doing well with. Avoid sudden changes right before the wedding! Avoid changing your skin care routine for the last three months before the wedding. You don’t want to deal with a reaction that needs time to heal or find out that the products are not working. Beautiful skin starts from the inside out. Prepping for a wedding can be stressful, so if you know that certain foods have a tendency to cause reactions in your skin, then avoid those for a few months. And above all, stay hydrated! Drinking plenty of water allows your skin to gently & naturally detox. The day before the wedding avoid lots of salt and sugar to reduce puffiness, especially if you have an early morning. Our last tip – you’ve heard it before, but we’ll say it again – do NOT forget the sunscreen! 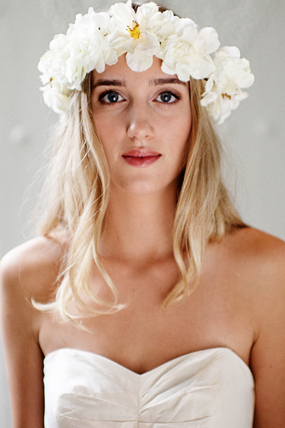 Flawless skin for your wedding is within your grasp – just start planning early!